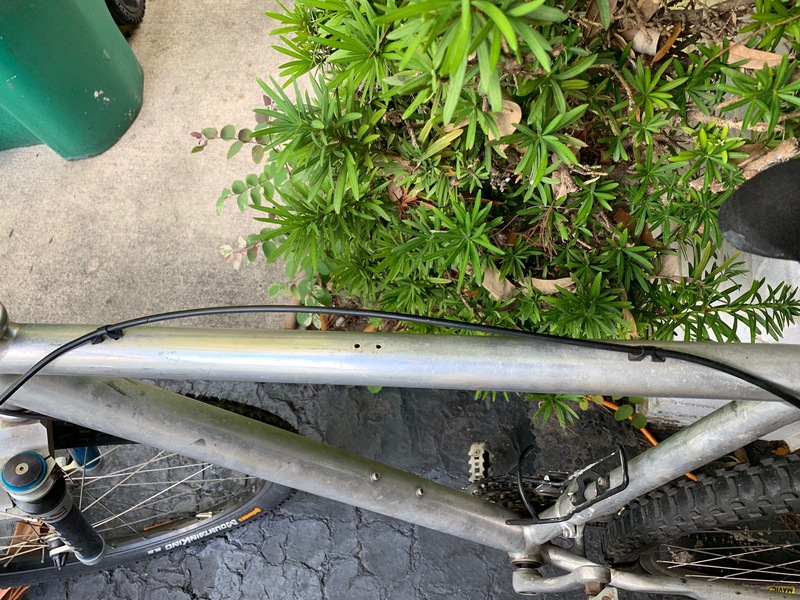 Can anyone ID my bike. I was given it about 25 years ago. 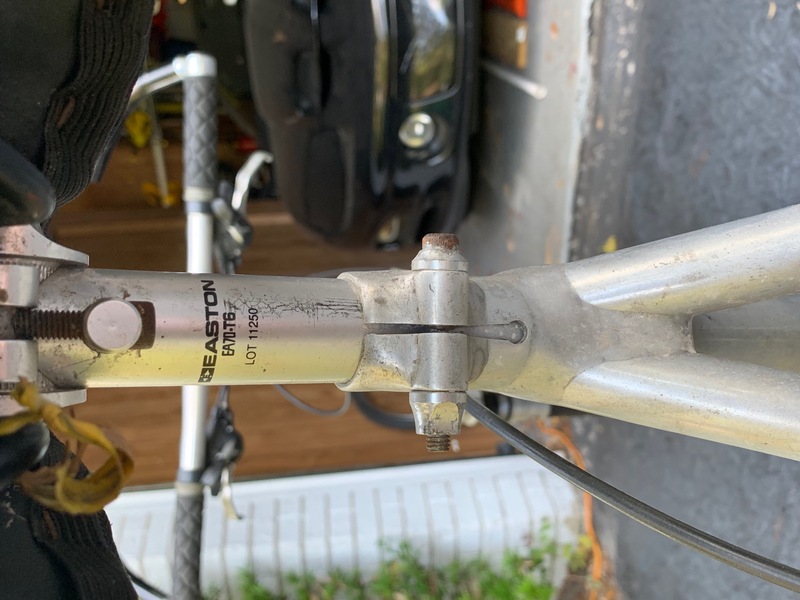 I think it is a 1993 Cannondale M series frame. 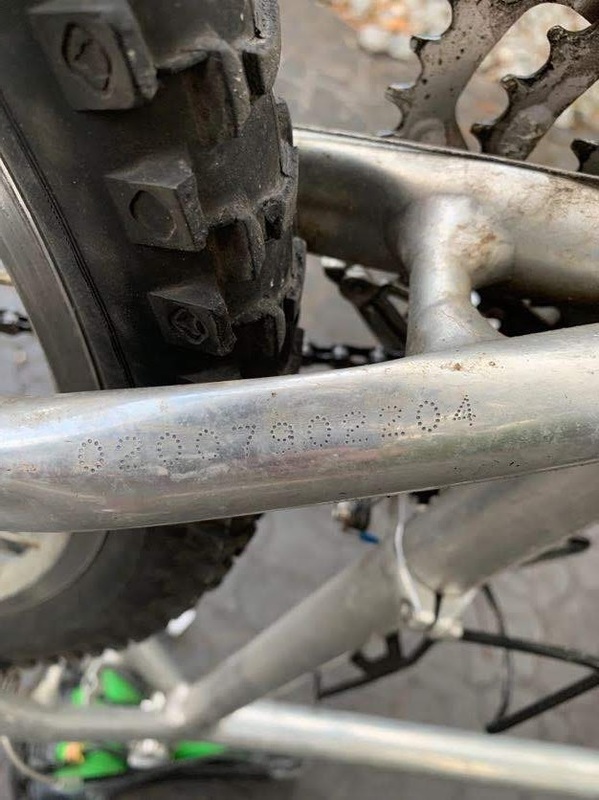 I only found one number on the bike 02007902204. It has Shimano XT components with RapidFire shifters and a Manitou 3 front suspension fork. Any help would be great. 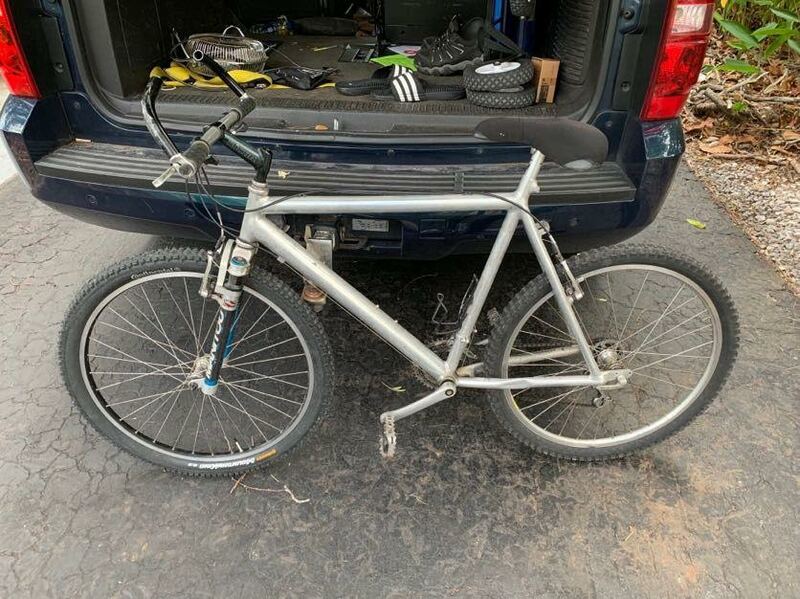 This is a Cannondale frame, and i believe its from the model year 1990. 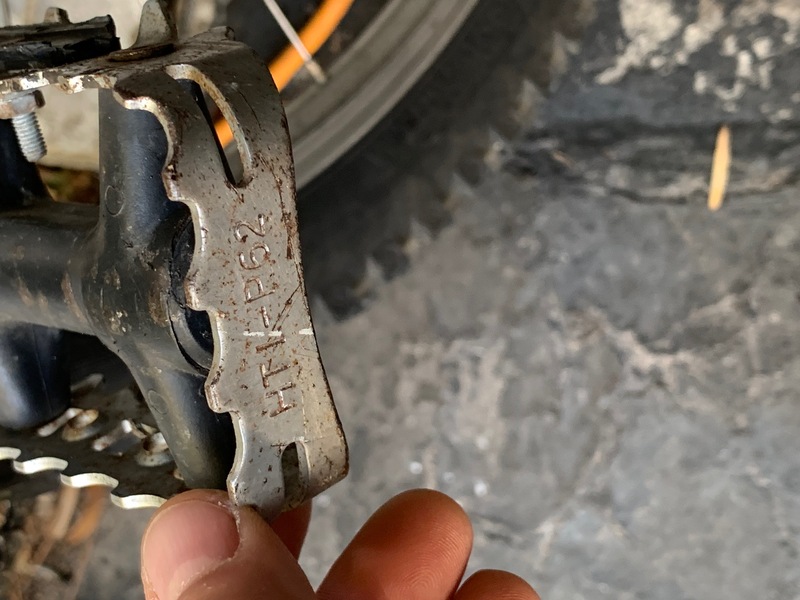 The serial number reveals it was made July, 1990. Your bike does contain an aspect of the 1991 models which I'll discuss in a sec. 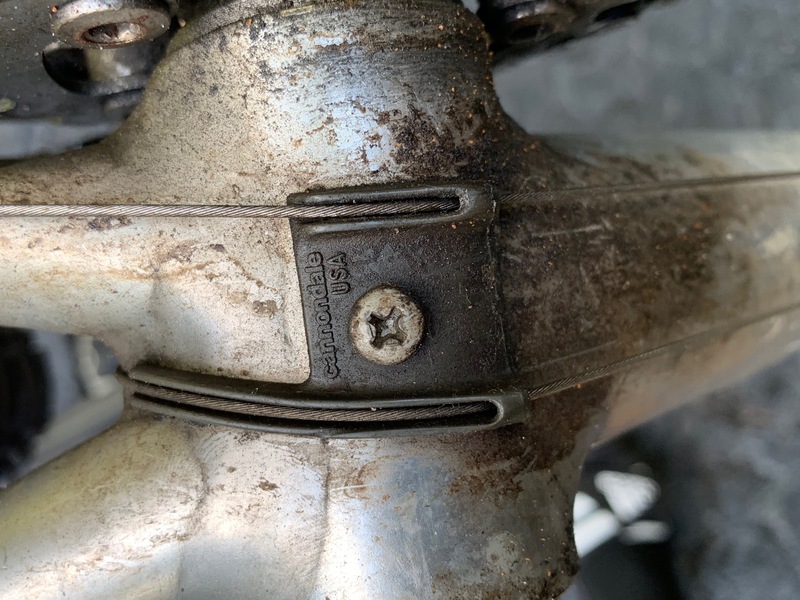 From 1986 to 1992, Cannondale used two versions of serial numbers, one of which was located on the bottom of the left chainstay as we see in your pics. Your serial number version breaks down like this: First digit=rear dropout width. 0 correlates to a dropout width of 130mm. Is this correct? The next two digits reveal the frame size. 20 inches in your case. The subsequent four digits (here, "0790") are the month and year of manufacture. 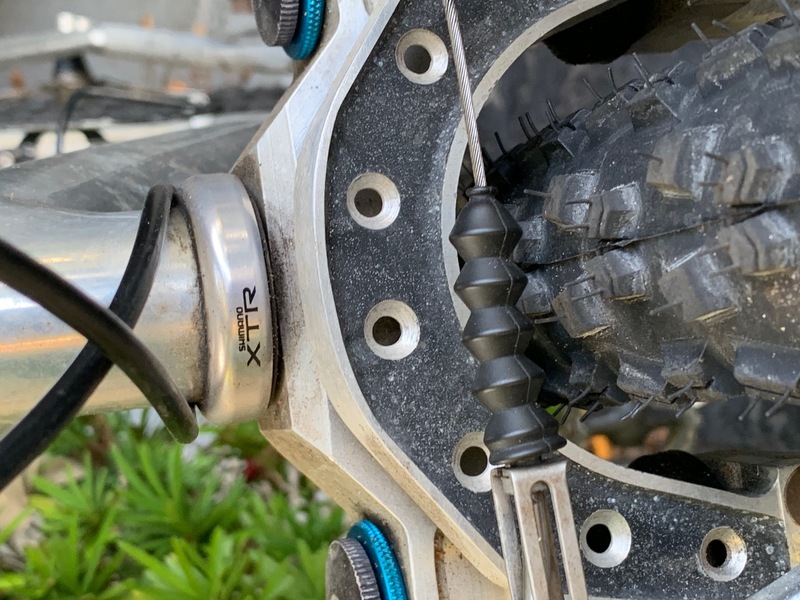 The final four digits are the production sequence number, which i take to mean this is the 2204th bike of this model* made. *It may refer to a sequence differing in detail than what i assert here (for instance, 2204th 3.0 Aluminum frame, size 20 inches, etc). Reference: Vintage Cannondale. 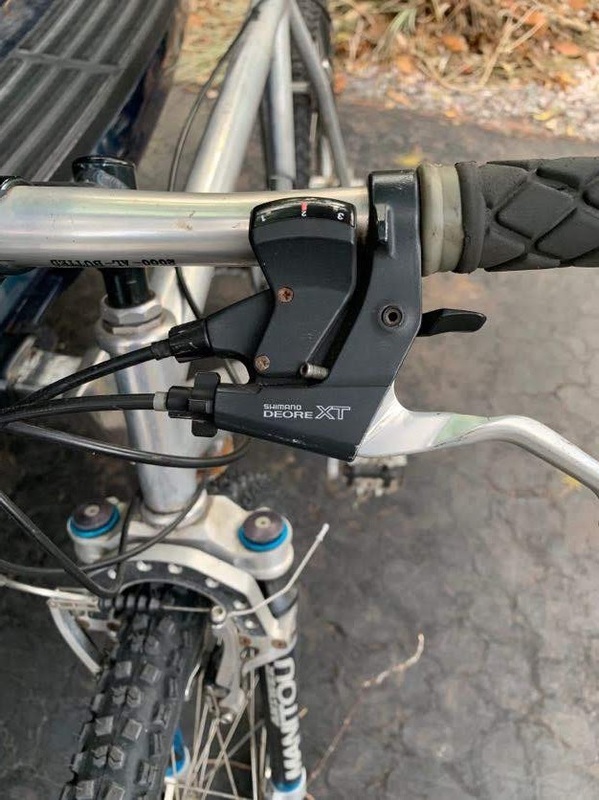 It appears to me based on perusing the 1990 and 1991 Cannondale catalogs, that you may be riding a 1990 SM2000 Mountain bike from Cannondale. Original paint scheme was metallic blue rear 2/3's fading to silver in the front. The decals were pink. 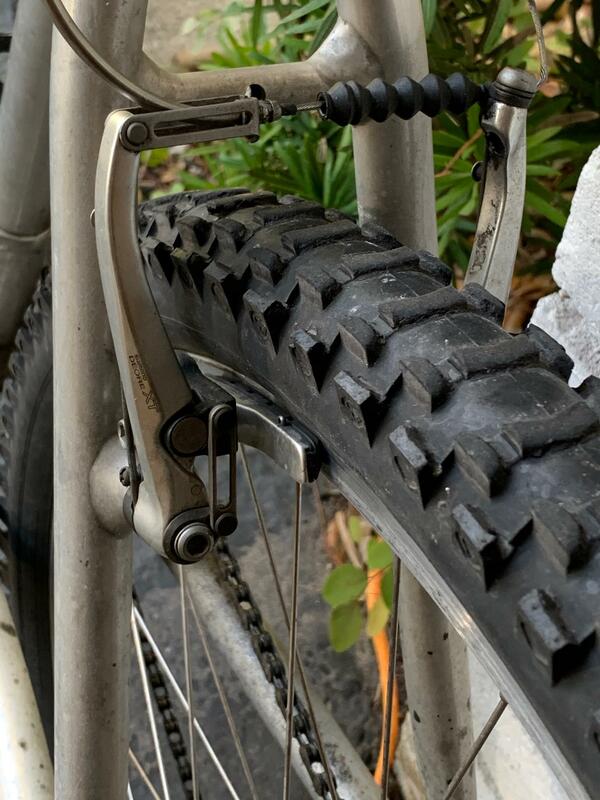 This was the last year for the crimped chainstays, going to oval model year'91. 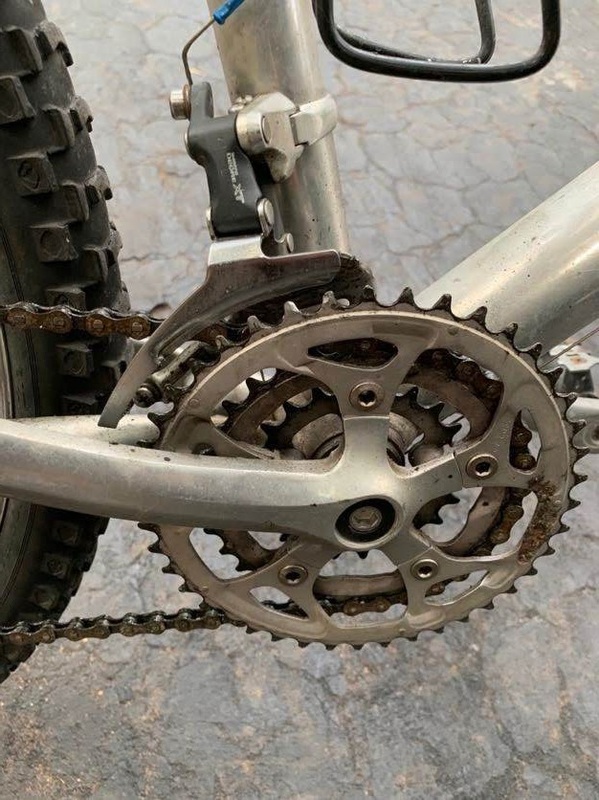 Your crankset appears to be a flavor of Deore and the '90 M2000 sported Deore XT crankset 48-38-28. 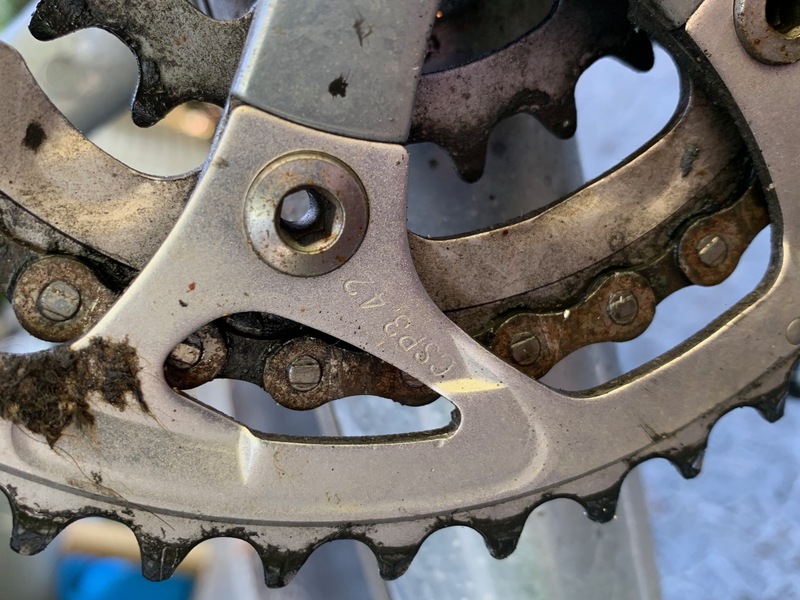 Looks like yours may have a 46T or 44T large ring, and several of 1991's models used Deore LX 46-36-24 cranksets. 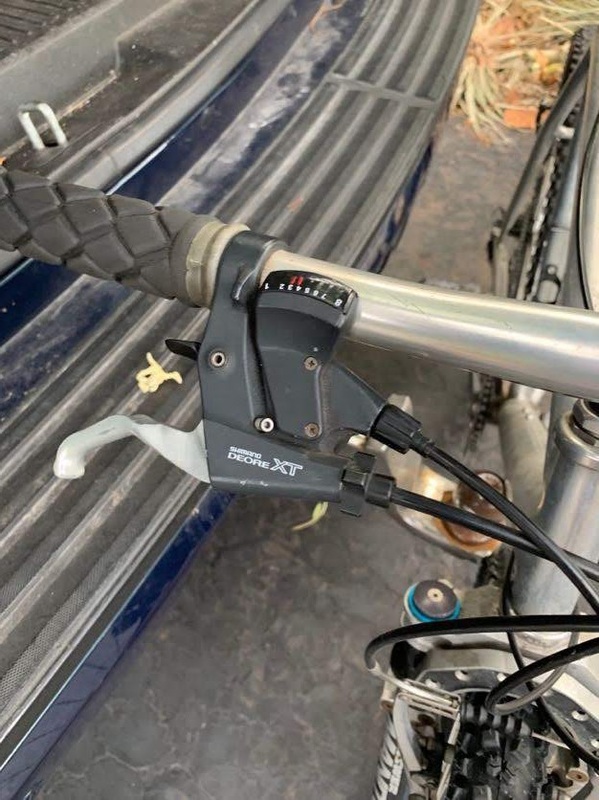 Other anomalies to my proposed model include your bike having an after market suspension fork; most models this year came with center-pull cantilever brakes, where yours are linear pull; the top tube of most 1990 mountain bikes sported 3 cable stops along the top. Yours appears to have only two. 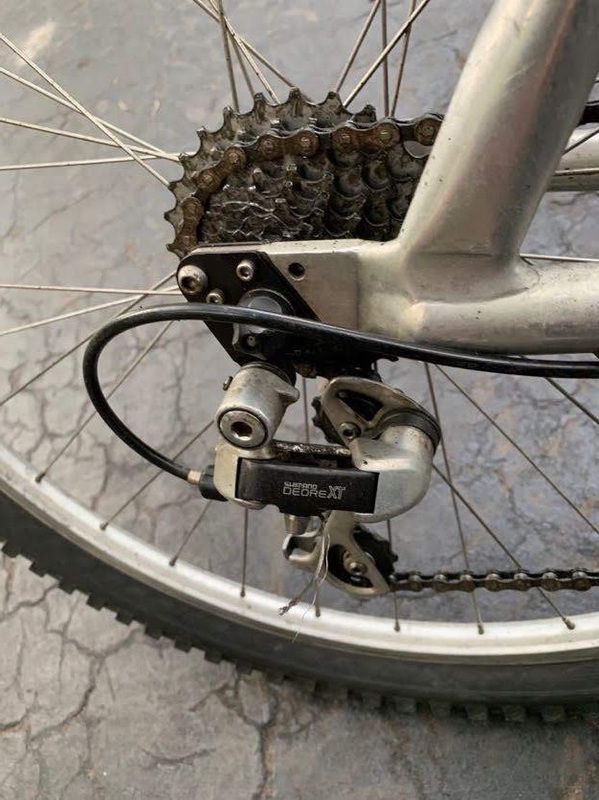 Is there evidence of a missing middle cable stop on yours? At any rate, I do not believe any of these differences are fatal to my speculation. 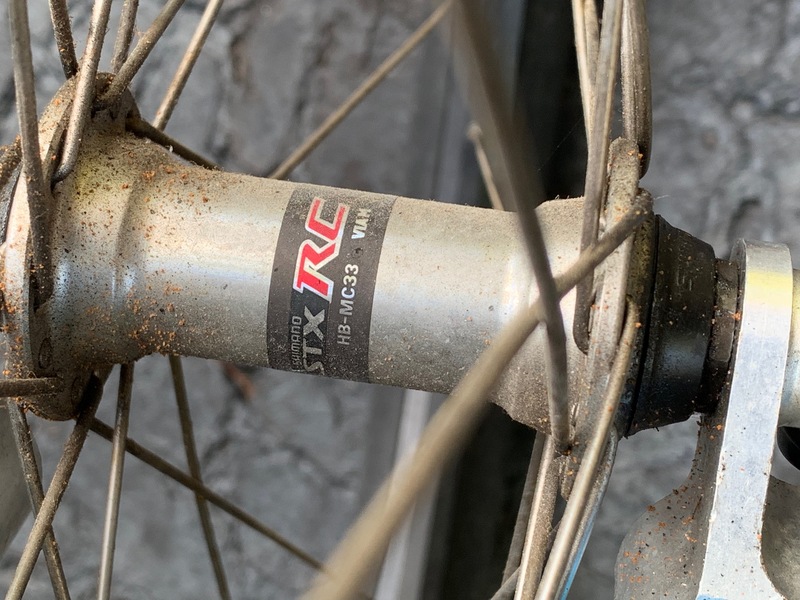 Even the lack of a third cable stop can perhaps be explained by production changes related to going into the next model year, 1991, where only two cable stops were on the top tube. 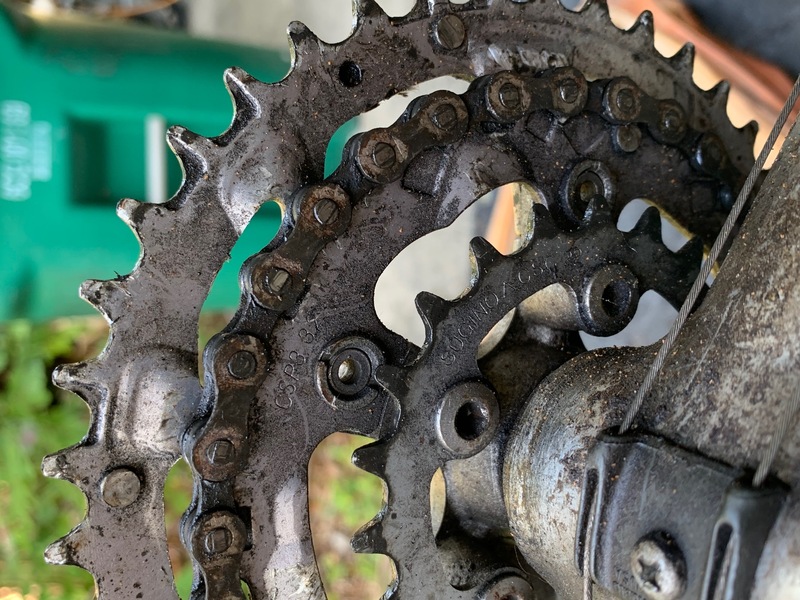 Being produced in July 1990, your bike was created at the beginning of the '91 fiscal year and it would be typical to start producing 1991 models the summer of 1990. (I base this on my experience in manufacturing at Winnebago Industries--motor homes and John Deere--farm equipment). 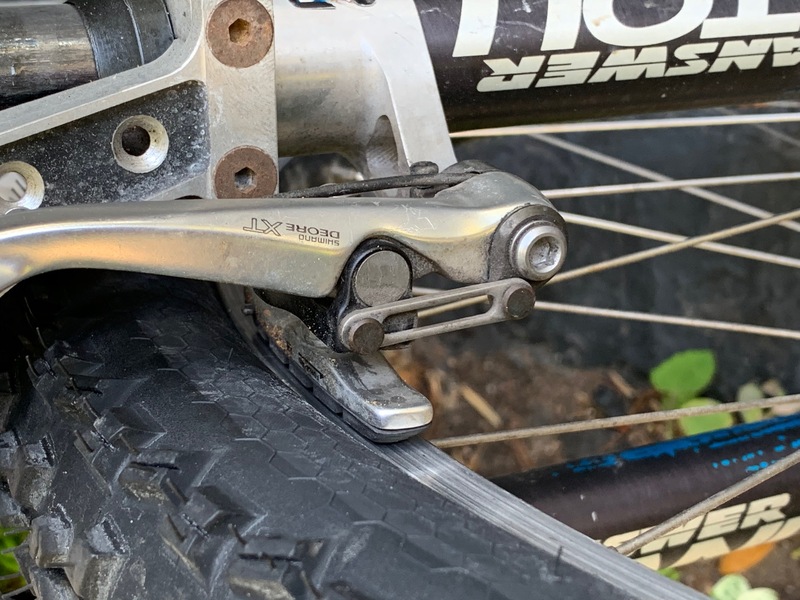 You have aspects of a '90 SM2000 (XT components, crimped chainstays) and 1991's model (namely, 2-cable-stop top tube). 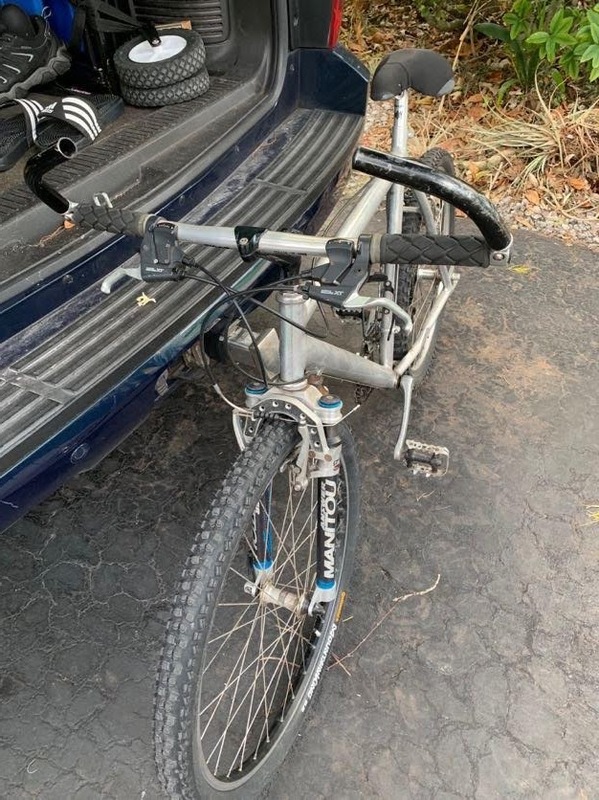 help me identify this kids bike?